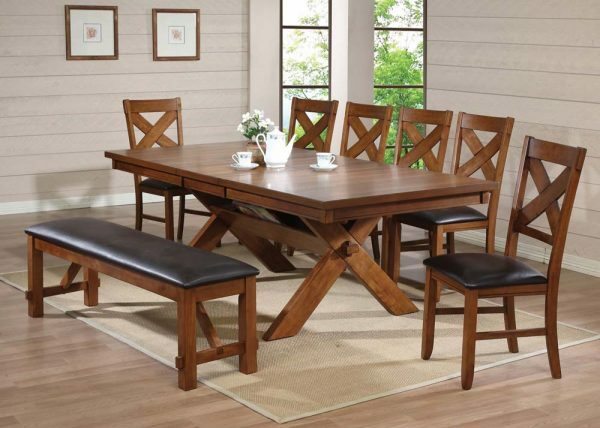 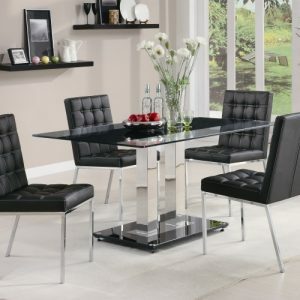 The Herve dining set features 2 x 12″ leaves with casual designed base. 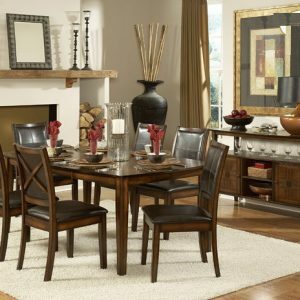 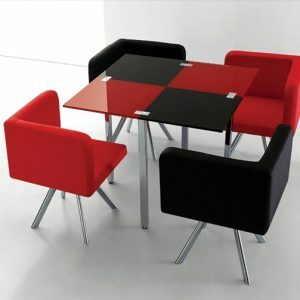 This dining set is made by rubber wood with selected veneer in cherry finish. 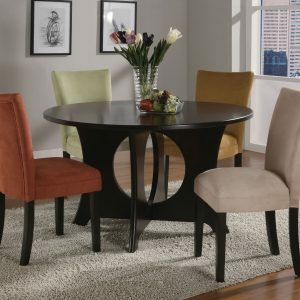 Side chairs made with leather like brown vinyl added extra comfort.